Hello peeps, time for some winners and goodness it was such a close run thing this month, but with so many stunnigly beautiful entries not too surprising the DT had a hard task selecting their favourites. So instead of a Top 3, I went for an executive decision.............my that sounds posh.............we have a winner and Top 4. Please mail me with your full name and postal addy so your prize can be sent to you. Congratulations to you all, very well deserved winners. Please grab out Top 3 banner and wear with pride on your blogs. Good Morning, hope you are all ready for another challenge here at Stampalot. Before I tell you about the new challenge I need to let you all know that the new Molly Blooms stamps have landed at Sir Stampalot and you will find them here and here. The new Farmyard collection.....which are absolutely adorable...........actually came out a week or two back but the initial stocks walked out of the door before lots of peeps could get their hands on them. 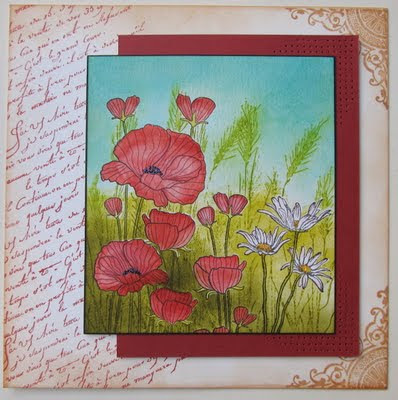 Lucky me got to have a little play and I combined some new and old Molly stamps and as you will see (further down) they are so versatile and coordinate beautifully. 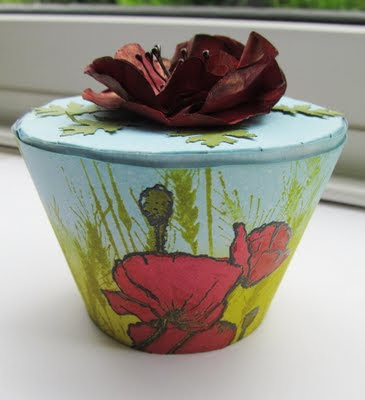 Also back in stock are Tim Holtz tattered florals which you will find here. This is a set I use time and again and in my view a must have and great addition to your crafty stash. You will also find lots of special offers and must have's in the sale section here. OK, enough of my babble, I tell you I could talk for England...................for our June challenge we have some photo inspiration for you. I adore poppies so was immediately drawn to this picture which I thought was so perfect for June as the poppies are looking radiant in the fields and verges right now. 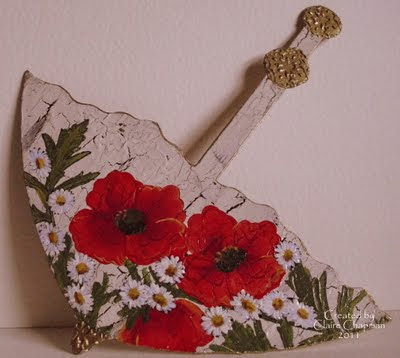 But of course you don't have to put poppies on your creation, you may just want to use the vibrant colours as your inspiration. The Design Team have worked their magic as always and I have to say their work this month is absolutely stunning, a huge thank you to you all....................and a very warm welcome to the lovely Vicky who is our Guest Designer. And I received the card below from Vicky last evening with this little note "this card is specially for you...I know you love your fairies and flowers". 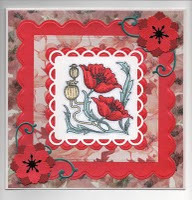 I was really touched by her kindness and as it is such a lovely card and has poppies, I asked her if I could share it with you all. Have you checked our challenge RULES and made sure your entry is valid ?